We’re working hard on the chicken coop and the gardens. And we’re enjoying every bit of sunshine and warm weather we get. 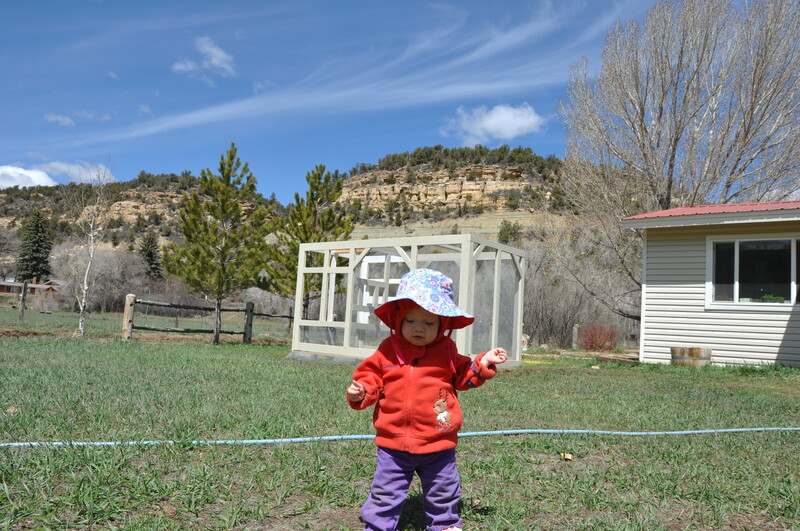 Cruising around the yard (half built chicken coop in background). Mia is walking all over the place, trying to climb in the chicks small (temporary) home, and learning all kinds of tricks. She hears and repeats EVERYTHING! We’ve begun spelling words for a variety of reasons: mostly so she won’t repeat them but also so she won’t start asking for it. For example, the other day when we were packing and trying to get the door for our camping trip, we said the word ‘pasta’. This was while Mia was having breakfast and, not surprisingly, pasta was not on the menu. Mia, however, has no desire to limit her pasta consumption to lunch and dinner meals so she began demanding pasta and she wanted it NOW. After multiple attempts to divert and distract, we conceded and began hastily cooking pasta, although it still took about 20 minutes (boil water, cook pasta, let cool, etc.). She was quite pleased with the pasta. It is her favorite meal (at least for this week/month), and since we never know when she might demand pasta, we try to keep it readily available. Her vocabulary is amazing and growing by the minute. Fun to observe and hear, and to try to decipher all her words. 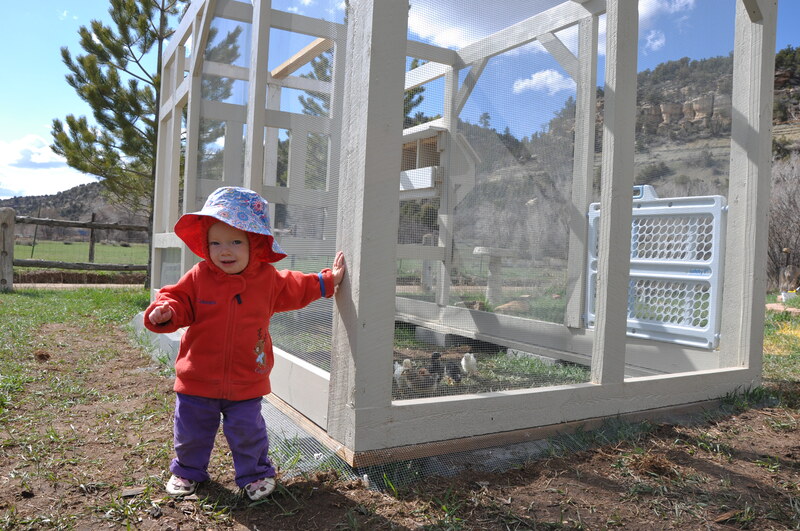 Today, we let the chicks check out their new and partially completed coop for a bit. 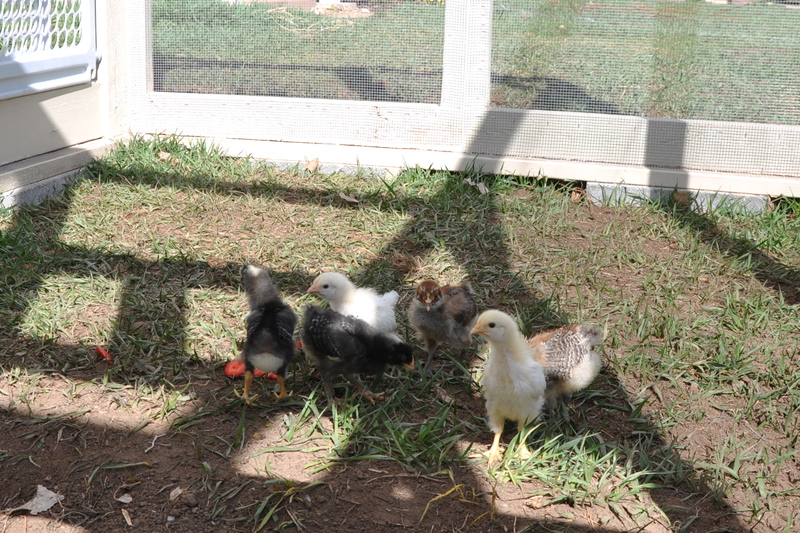 They were happy to scratch around and explore and be chickens. Mia was happy to watch them. They are 2 weeks and 2 days old, and growing fast. Our chicks are 2 weeks old as of Wednesday. Mia was happy to observe them in their soon-to-be-new home. 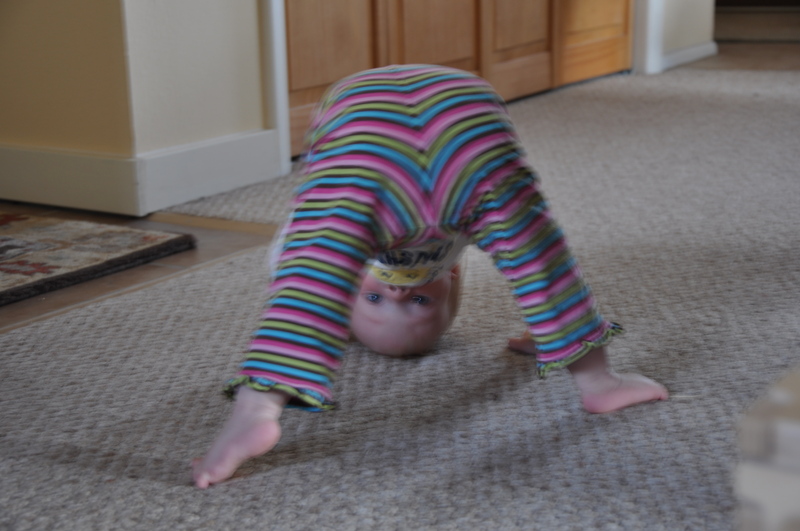 This entry was posted in Chickens, Food, Mia and tagged chickens, food, talking, walking. Bookmark the permalink.